Affidavits are done by lawyers so that you can have a document stating that you are telling the truth and it is done in front of a notary public. Sometimes when there needs to be a set of statement that is required for the different purpose, an organization has affidavit forms ready that can be filled by the affiant. 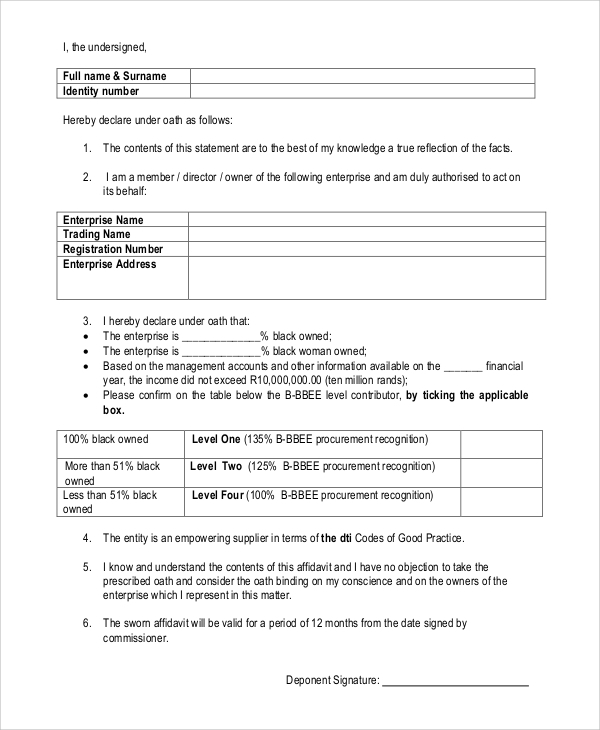 If you need such Sample Forms, here is a collection of such affidavit forms that will give you a clear idea about how the different purposes are served. 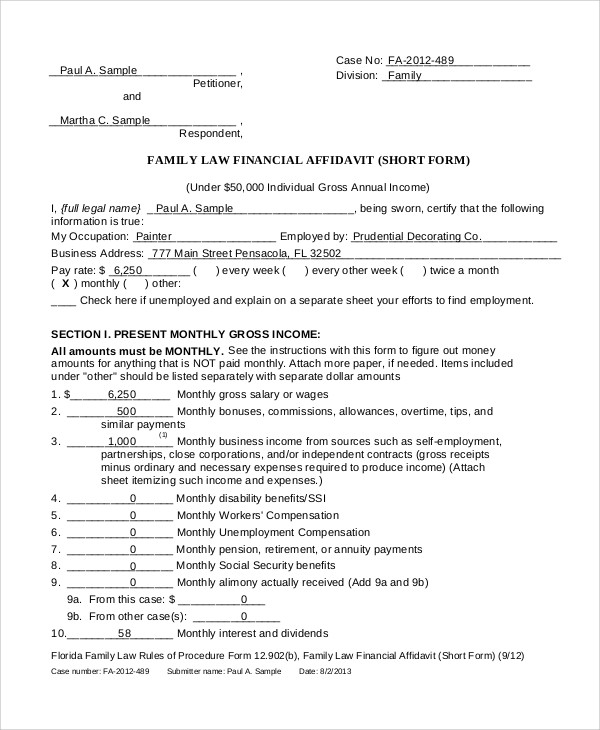 This is sample affidavit of support form that needs you to state the required information for getting support. 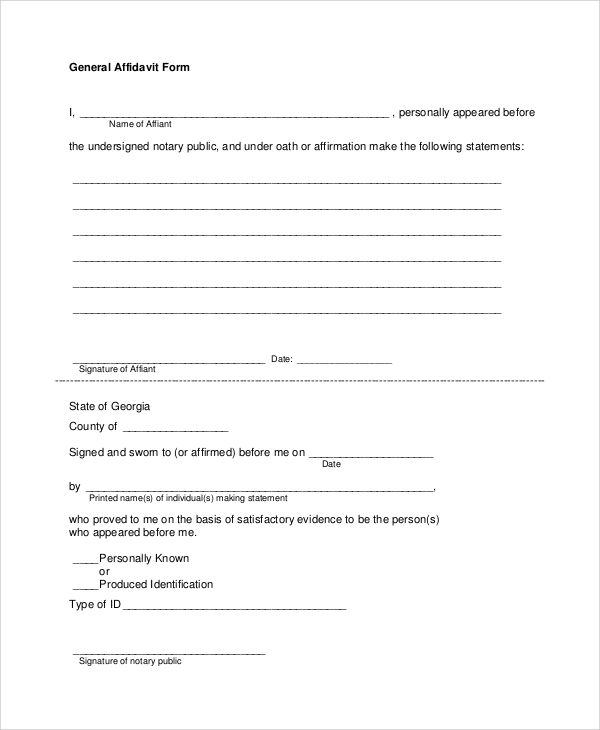 When someone needs to support someone else, this affidavit form is required. 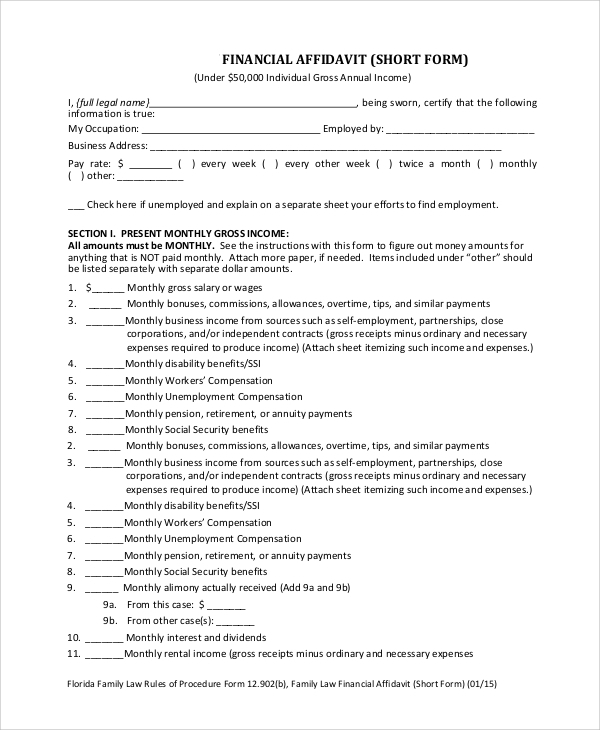 This financial affidavit short form serves for people to submit information about their financial status. Again, it is general for almost all states, but you may have to customize as per certain changes in the rules. 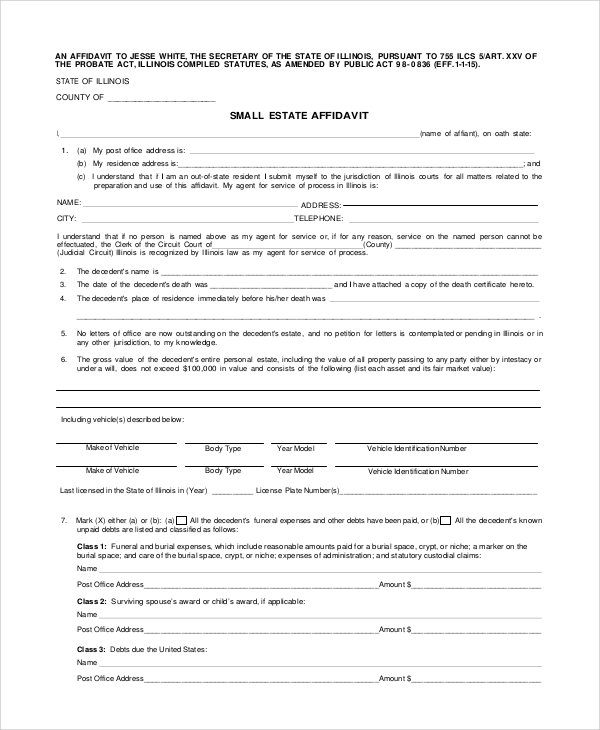 Another classic example of small estate affidavit form that will be required by people for filling out their estate information and get it notarized. Most commonly used for different purposes when you have to submit your personal details. This identity form once notarized, makes you recognized as a resident of a particular place. 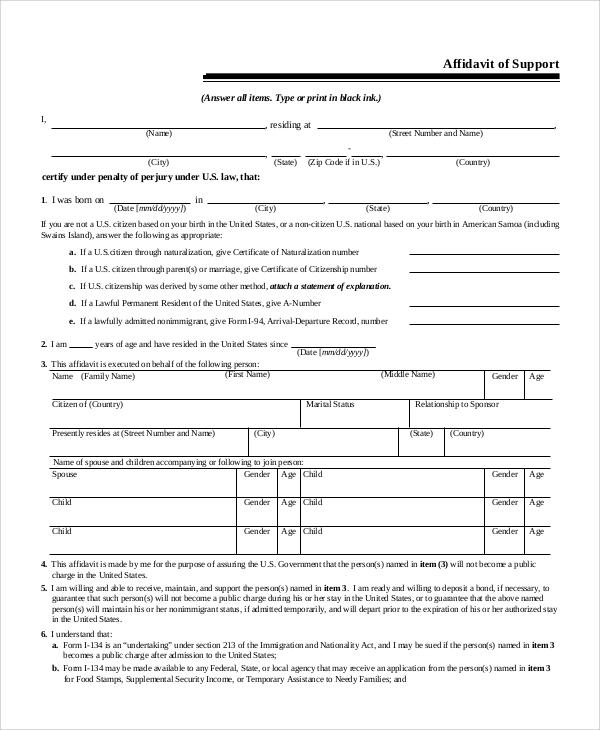 Another important and common affidavit form is an affidavit of heirship form. There can be different formats, but this one includes those details that are required the most. It is simple and contains the required information. Sometimes in the eyes of the law even if you tell the truth, it is not considered as one and a written proof is required in support of the statement that you are saying as truth. In such cases, an affidavit is required. It can be considered as a written court testimony where the statement is notarized by a notary public. When you sign an affidavit, you are swearing in the law about the statement that is mentioned there. It is required by for many Government jobs where you need to submit a proof of something that doesn’t exist physically. Are There Different Types Of Affidavits? Yes, there are different kinds of affidavits, and they vary according to the situation. Like, after marriage if you want to proof your residence change, there will be one form for that. If you want to support someone or sponsor an immigrant, you have to fill the affidavit of support. If by any chance, you have lost your birth certificate or cannot locate it, an affidavit of birth will act as your birth certificate till you get it. There are different types of forms depending upon the kind of situation. As the need of affidavit is always there, there will be demand for them too. 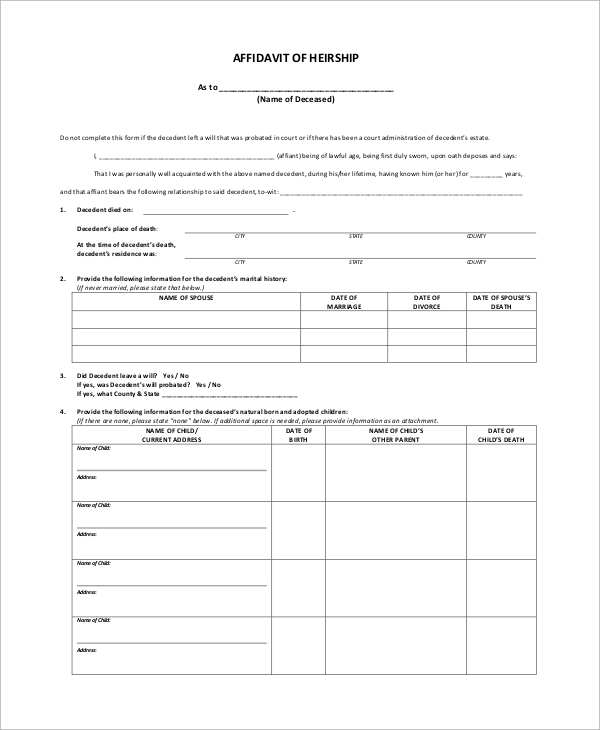 Here is a collection of few such affidavit forms that will give you an idea about how to design them. 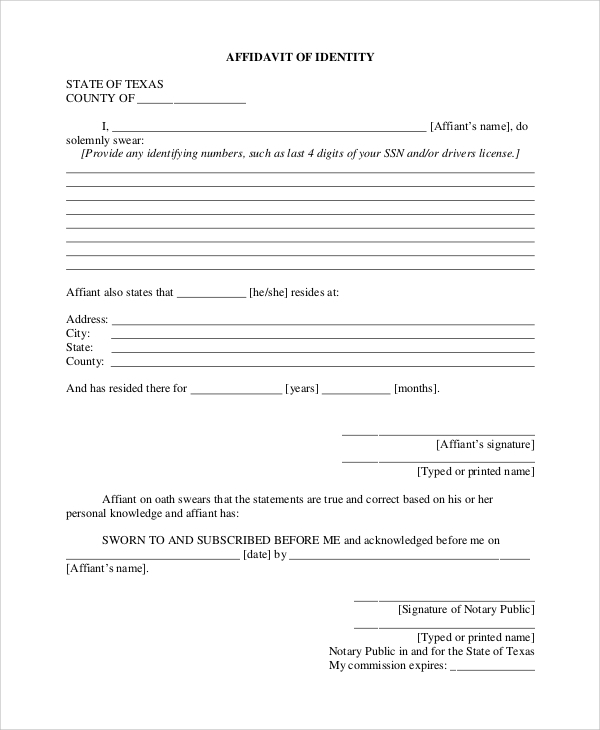 You can also use the Sample Blank Affidavit Forms if the purpose is unknown to you.